WHAT: Into Film is proud to present an educational screening of Rebel Without A Cause as part of our LGBT History Month programme showcasing LGBTQ+ cinema. You could argue that this film had its place in history nailed down before it was even released. First, there's that classic, says-it-all title. Secondly, lead actor James Dean died in a car crash just a month before it came out, lending the whole film an air of tragedy that helped secure its cult status. Dean plays ultimate moody teen Jim Stark, the new kid in town who is soon getting in all kinds of trouble, and whose father is struggling to connect with him. Jim's friends are no happier - and their problems quickly turn tragic. And all this happens in just one frantic, memorable day. This film contains moderate violence. 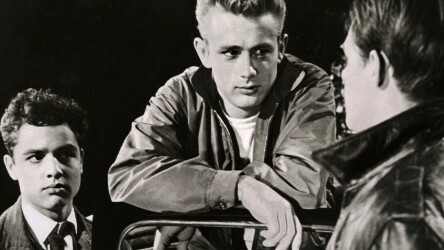 A film guide that looks at Rebel Without A Cause (1955), exploring its key topics and themes through informal discussion.